Search operators are used to help narrow or expand a search. In their most basic form, search operators can be as simple as including ‘AND’ or ‘OR’ between search variables (keyphrases). For Example, the search operator ‘AND’ can be used to return the results of two, combined keyphrases: ‘blue widgets AND red widgets’. There are many Google search operators that exist. Including a handful that can be utilized for high-value SEO purposes. Useful for determining which page within a site has the most authority (in the eyes of Google) for a specific keyphrase. Useful to determine who is linking to a specific website. 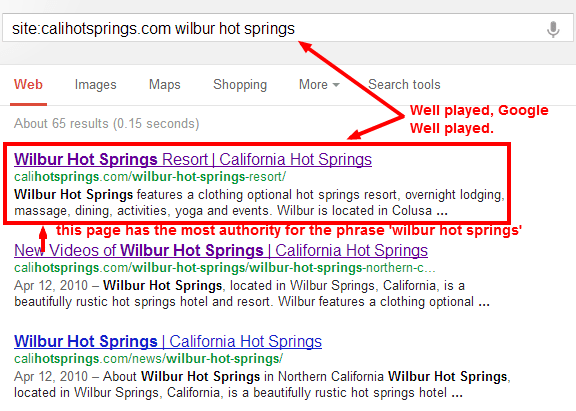 Useful as a competitive measure by determining potential competeting websites for a specific keyphrase. The possible SEO related applications of the resulting SERP (search engine result page) by utilizing the above Google Search Operators are limitless! Please comment with any favs of your own. Very useful post man! And I’d never actually heard of the “allintitle:” operator before!! Hey Seth! Thanks for the comment! I’m glad I was able to find one that you hadn’t heard of before. Go figure, I actually thought of you when I wrote this.